JamesA60: As I no longer pass this cache often, I have taken the decision to remove and archive it. The container is no longer in place. I have replaced this cache once after the original container went missing. Somehow, the second container has disappeared and the new container re-appeared in it's place, despite having a different location! Strange. 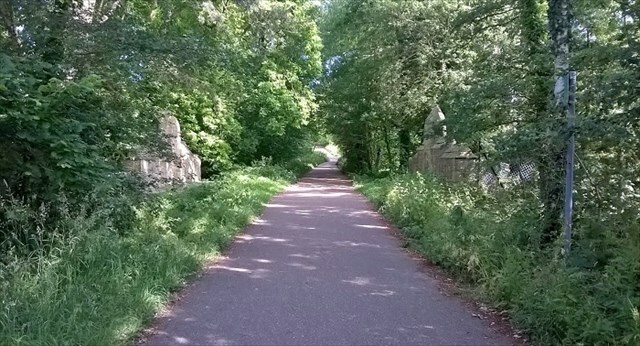 The Forest Way is a Country Park which follows the path of an old railway. This means it is a flat track which is easy for everyone to walk, cycle, or ride along. The Forest Way goes from East Grinstead to Groombridge, while passing through Forest Row, Hartfield, and Withyham. The track runs for 16 km.The forest way is in the High Weald of Outstanding Natural beauty. The railway line was opened in 1866 which continued from Three Bridges station. The line was closed in 1966 by Richard Beeching when rail lines were torn up (known as the Beeching Axe). The disused railway line was bought by East Sussex County Council in 1971 and designated as a Country Park in 1974. To get to the cache, you can park anywhere around the nearby houses. When getting to the cache, make sure you approach from the top of the bridge (by walking along the forest way, not the path which goes under the bridge). The cache is held above the ground, so can be retrieved even when the undergrowth is high. Haqre fgbarf arne FR pbeare bs oevqtr oruvaq gur jnyy.